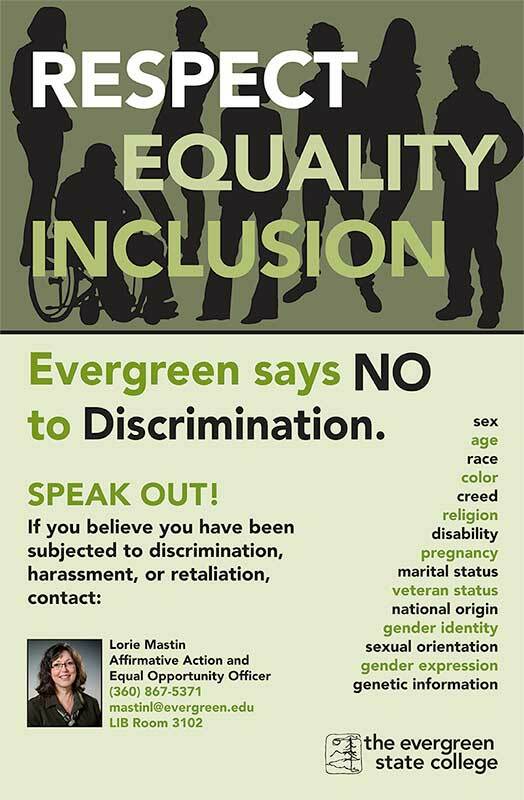 The Evergreen State College is dedicated to creating and fostering a community that is free of discrimination. The Evergreen State College is steadfastly committed to equal opportunity and diversity as principles necessary for a just society and a quality education. 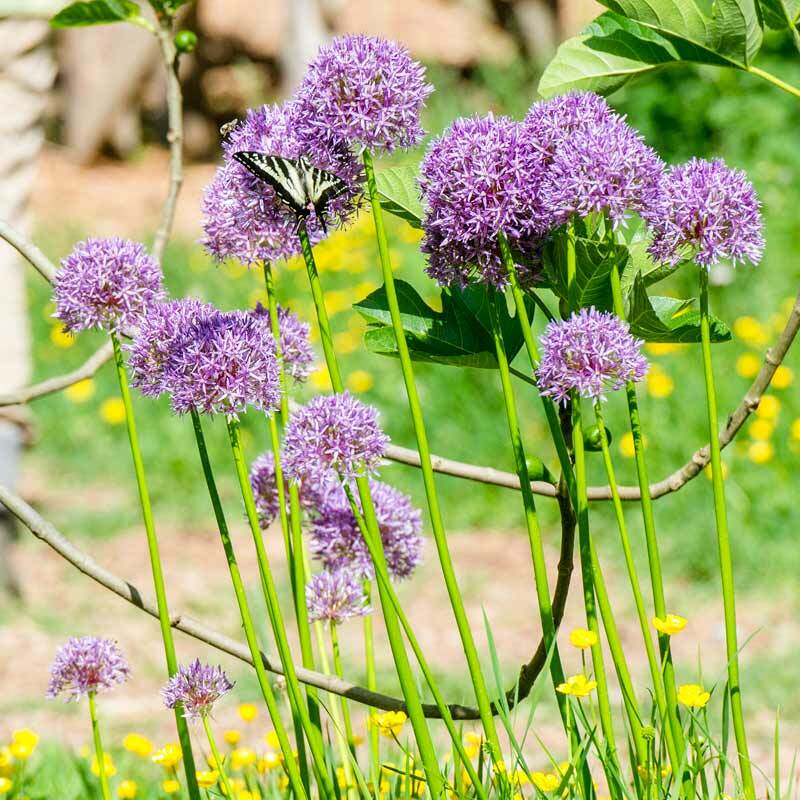 An important goal of the College is to create a learning and working environment that is inclusive, hospitable to, and reflective of our diverse society – an environment that nurtures respect for diversity and encourages excellence. Questions or concerns may be directed to the College’s Affirmative Action & Equal Opportunity Officer, Lorie Mastin, in Human Resource Services, Library 3102, (360) 867-5371. The Evergreen State College annually implements an Affirmative Action Plan (AAP) to achieve this goal and to employ and retain members of underrepresented affected groups among its administration, faculty and staff. Evergreen’s Affirmative Action Plan does not establish quotas or any kind of timelines for the achievement of goals, but identifies the levels of diversity present in labor markets relevant to College recruitment and establishes those levels as goals the College aspires to in its employment of administrators, staff and faculty. The current Affirmative Action Plan is available for viewing in the Human Resource Services Office. For additional information, see the Affirmative Action Policy.